For the second year in a row, The University of Texas at Arlington was named to SIERRA magazine’s “Cool School” list for its commitment to enhancing sustainability across its 420-acre campus. SIERRA is the national magazine of the Sierra Club, a national non-profit dedicated to promoting responsible use of the earth’s resources. UTA is one of only nine Texas universities to make the list, which is based on a review of data submitted to the Association for the Advancement of Sustainability in Higher Education (AASHE). Building a sustainable megacity is the singular focus of UTA’s Strategic Plan 2020 Bold Solutions | Global Impact. UTA is making distinct progress toward this goal through innovative campus growth plans, student life initiatives, community partnerships and new academic course offerings. UTA is currently building a $46.5 million residence and student life facility and a $125 million Science and Engineering Innovation and Research Building using sustainable materials, practices and designs such as high energy efficient heating and cooling systems and water conservation methods. The Green at College Park acts as an ecological water detention system and large-scale rain garden. College Park Center, which opened in 2012, is a $78 million LEED Gold certified special events center with an adjacent green space. The Green at College Park received one of the first three certifications issues worldwide by the Sustainable Sites Initiative and acts as an ecological water detention system and large-scale rain garden. The entire College Park District is rated as LEED silver. The Engineering Research Building is a 234,000-square-foot LEED Gold certified structure that includes a 28,000-gallon capacity rainwater collection system; 28 percent of the building materials used during construction were manufactured from recycled materials. UTA’s Park North and Park Central parking garages feature 1,638 photovaltaic panels to capture solar energy. Smart growth also means great care is taken when old campus structures are demolished. Recyclable materials are removed from demolition debris in order to divert construction waste from landfills. UTA launched a bike-sharing program in September and a car-sharing program in 2015. Student organizations such as Mavs Go Green encourage environmentally friendly decisions among students and raise awareness about sustainability. Mavs Go Green members help increase recycling at Arlington’s AT&T Stadium by volunteering during large events to divert waste into recycling bins. The organization also won UTA’s Outstanding Contribution to the Greater Community Award. Other student organizations encourage recycling in residence halls and responsible food consumption in the University’s dining facilities. A composting program recognized by the Environmental Protection Agency turns more than 32 tons of food and yard waste into mulch and soil for campus use on an annual basis. UTA encourages students, faculty and staff to be mindful of printing practices. Catalogs, class schedules and many information packets are online only. UTA was the first educational entity to partner with Air North Texas, a regional clean air public awareness campaign. 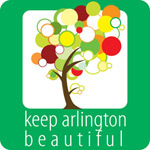 The University also partnered with City of Arlington on a carbon footprint analysis that helped the city reduce energy consumption by 25 percent. A community garden on one-half of an acre of UTA property serves as a site for the community to learn about sustainable choices. 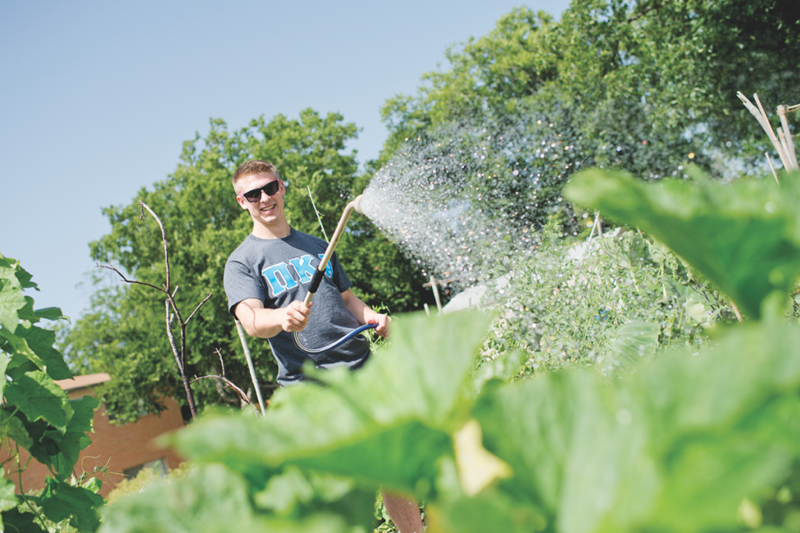 During 2015, UTA donated 900 pounds of food grown at the garden to Mission Arlington, a local shelter and outreach center. UTA offers more than 60 courses within 16 academic departments which include sustainability as part of their curriculum, ensuring UTA’s graduates are skilled in sustainable practices and ready to lead communities across the world as they face difficult challenges related to growth, waste, and resource management. The College of Engineering offers a minor in sustainable engineering while the College of Architecture, Planning and Public Affairs offers a minor in environmental and sustainability studies. Through a partnership with the Danish Institute for Study Abroad, UTA students are eligible for an intensive study abroad experiential learning opportunity focused on sustainability efforts in Denmark and other European countries. Students can also participate in paid sustainability-related internships with UTA’s collaborative community partners. UTA’s Solid Waste Institute for Sustainability is educating and training solid waste management personnel from developed and developing countries across the world new techniques in landfill operation, recycling and waste management.